Failover clusters also provide Cluster Shared Volume (CSV) (improved)functionality that provides a consistent, distributed namespace that clustered roles can use to access shared storage from all nodes. Apart from that the utilization of scale-out-fileserver and SMB 3.0 are some new add ins to improve the clustering experience and expandability apart from typical SAN environment. To have this feature you need to add the particular role to the cluster nodes first. 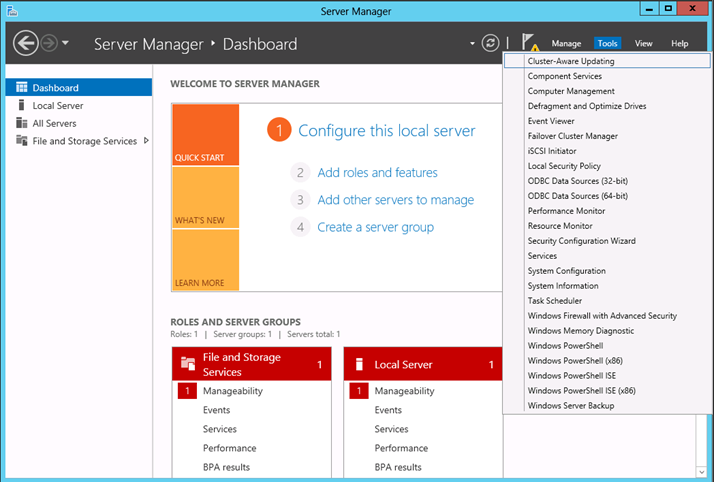 Once it carried out you’ll see the option in the Tools menu in Server Manager. 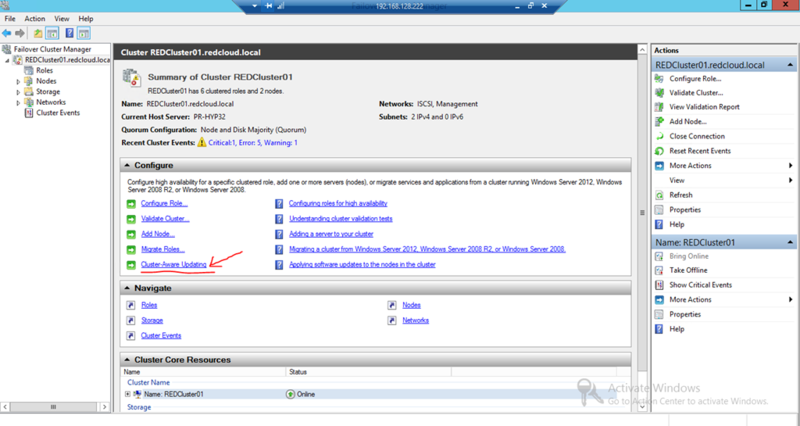 This menu will help you to verify the nodes met the required settings to eligible under CAU. With the introduction of Windows 2008 Cluster service Microsoft has made the clustering as easy as it can for a system administrators. I’ve been blogging about Windows 2008 clustering on my blog and various other third party software you can use to accommodate the clustering. Once the Microsoft released MS Storage server for the TechNet subscribers I have been using that software frequently. Apart from that I found out StarWind software also providing good solutions as well. Last month I got the opportunity to demonstrate the Windows 2008 clustering and it’s new capability to the IT Pro community with live demonstration. Too bad I forgot to get some picture on that event 😦 You can download the presentation I have created for that session from here. This month I have received an invitation from the SQL community group to conduct a session about SQL cluster creation. Special thanks goes for the SQL community MVP’s for giving me the opportunity. In that session I present about the MSCS (Microsoft Cluster Service) and the new features in the windows 2008 R2 cluster. Apart from that we went ahead of doing a live demo on SQL cluster creation. It too nearly 1.5 hours for the entire demo since I ran everything from singe machine! Never the less it very exciting session since I got to interact with the SQL community members. Apart from that participant had various questions about the cluster creation since most of them are database developers and some of them have already work on SQL cluster 2005. 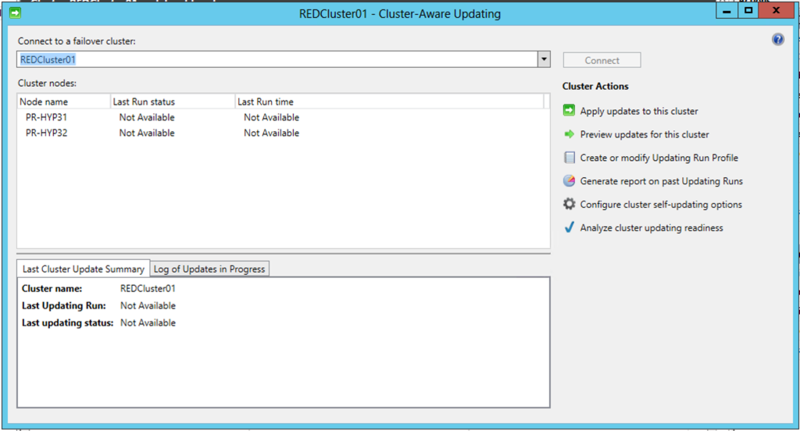 One thing I briefly went talk about is the cluster migration from SQL 2005 cluster to SQL 2008. Forum members can download the presentation from www.sqlserveruniverse.com. Apart from that we went and discuss about various technical setup and configurations you need give attention during the cluster creation and how to do basic level troubleshooting steps.